BUCYRUS – Three Bucyrus Secondary School students took top honors during the annual Bucyrus Rotary Club Four-Way Test Speech contest. Bailey Plumley finished tied for first place, with Victoria Adams taking second and Sarah Lipscomb finishing third. 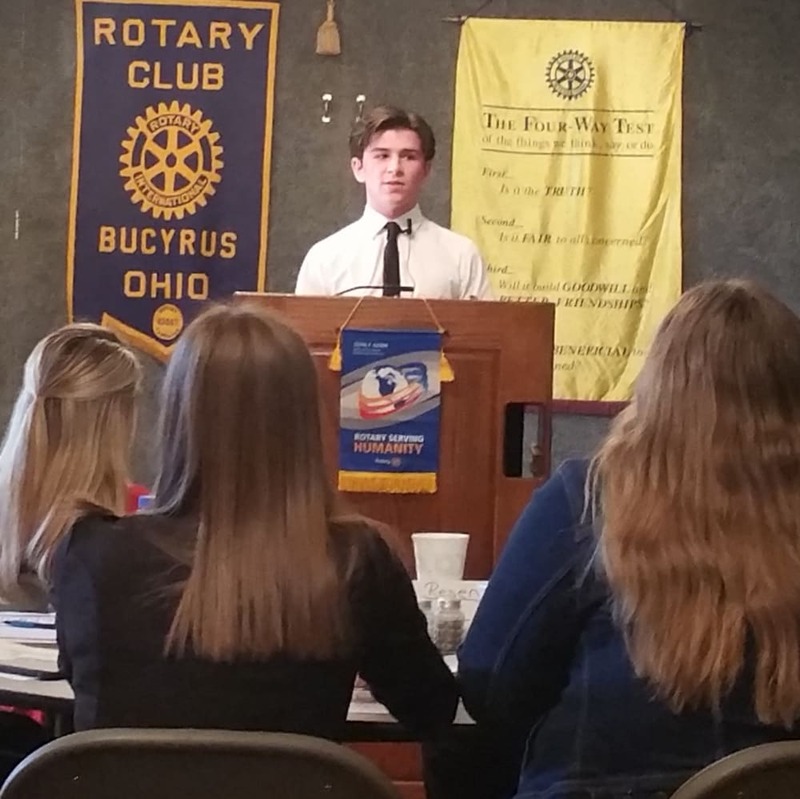 Plumley will present his speech at the Rotary District #6600 4-Way Speech competition in Van Wert on April 8. The Rotary Four-Way Test Speech Contest is an opportunity for students in grades nine through twelve to write and deliver a five to seven-minute original speech based upon the Rotary Four-Way Test. The test asks the four following questions: is it the TRUTH, is it FAIR to ALL concerned, will it build GOOD WILL & BETTER FRIENDSHIPS and will it be BENEFICIAL to ALL concerned? examples, quotations, personal humor and more. They were judged based on eight different performance criteria. These included attitude, voice, nonverbal cues, language, content, organization, adaption and effectiveness of theme. A panel of distinguished Rotary members served as judges for the local event. For more information regarding the Rotary Four-Way Speech Contest, contact Robin Showers at (419) 562- 6089 or via e-mail at rshowers@bucyrusschools.org.